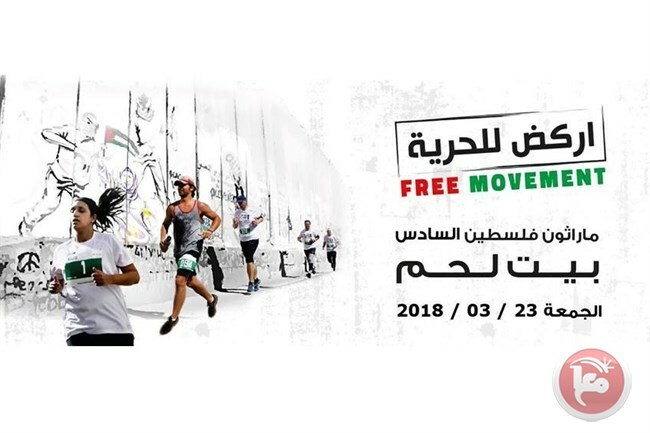 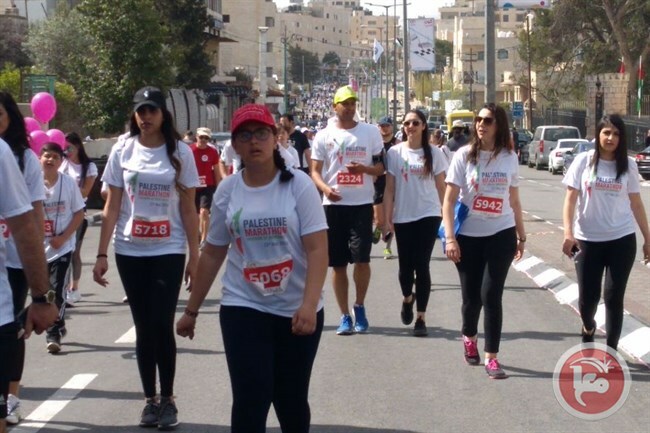 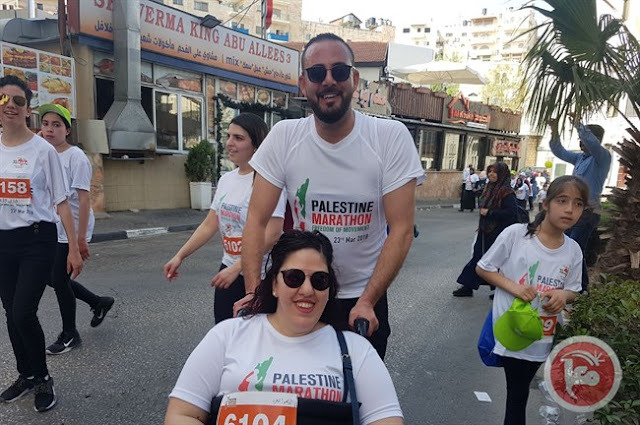 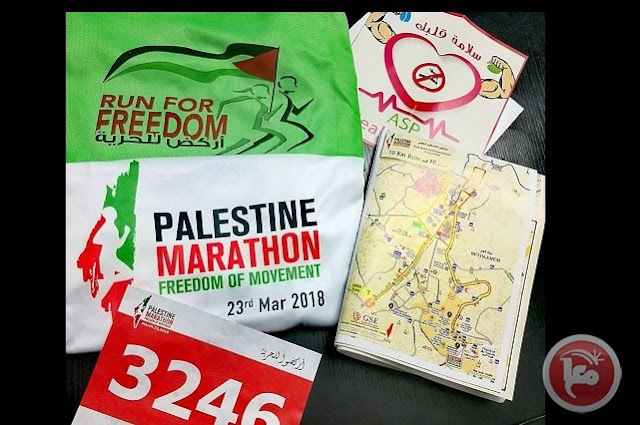 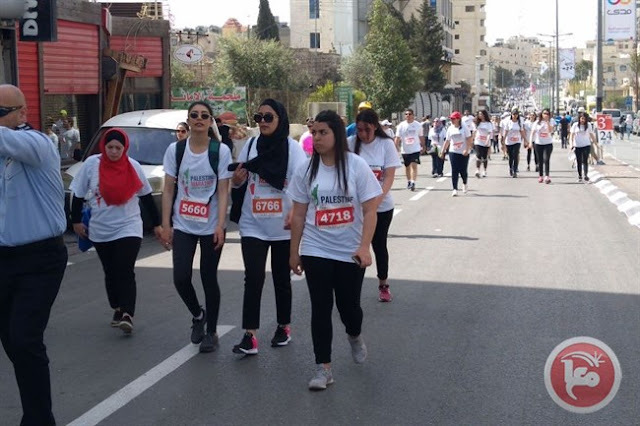 Today is the "Palestine Marathon." 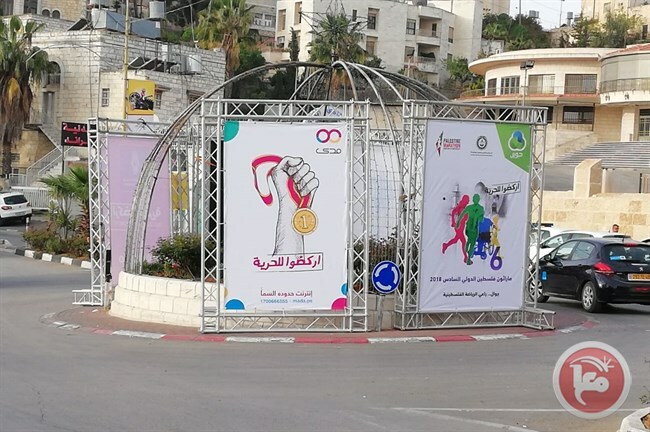 From photos of the event in Ma'an, it is obvious that sports is the last thing on the minds of the organizers as well as the participants. 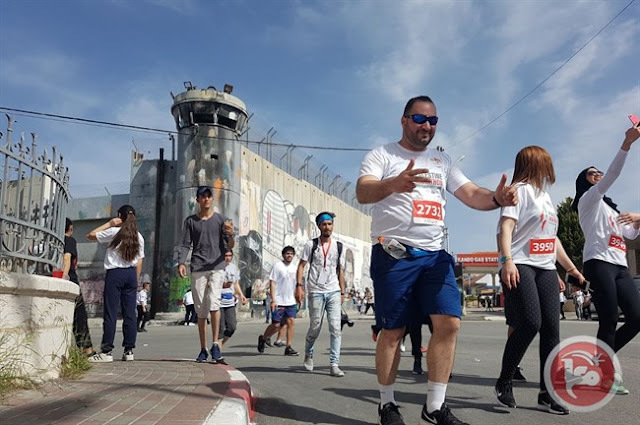 The route is specifically chosen to maximize the participants' view of the separation barrier. The route was chosen quite deliberately: ""The race starts at the Church of Nativity in the centre of the Old City of Bethlehem taking the runners through Bethlehem, through two refugee camps – Al Aida and Ad Dheisheh – and along the Wall deemed illegal by the International Court of Justice in 2004, but still standing, separating Palestinians from their land and each other and preventing the basic human right to freedom of movement." Yes, let's take down the fence and allow the birds of peace to fly. 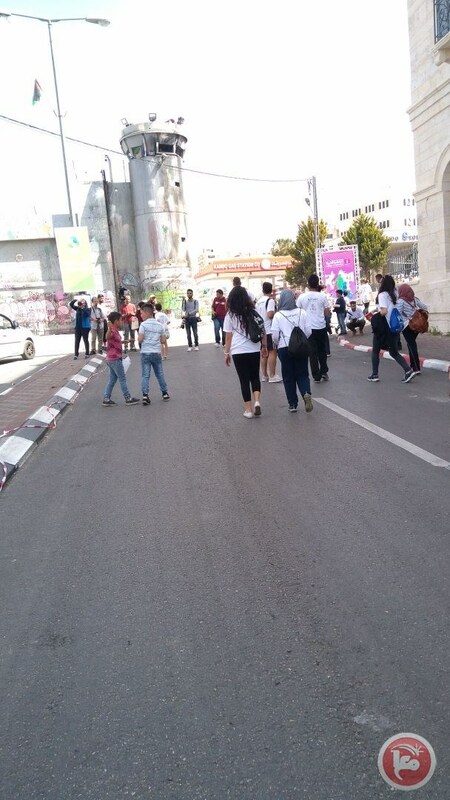 And resume suicide bombings of Israeli buses. I didn't see any photos of anyone actually running! They are all seemingly strolling around the route. 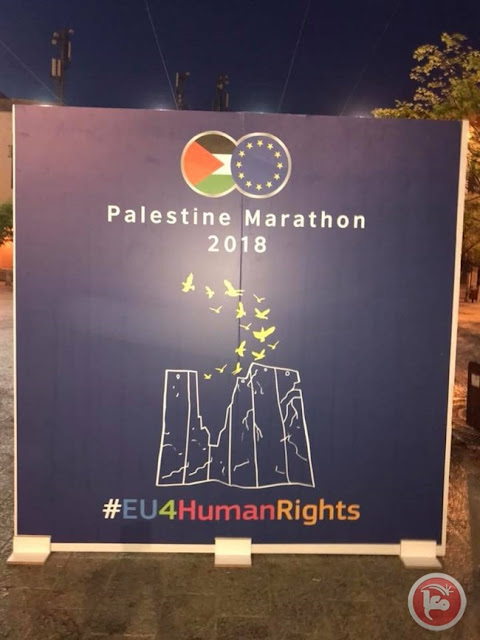 Notice also that the logo of the marathon erases Israel - not that this bothers the EU partners.